Dermantsi Pied Pigs, also known as Pstra dermanska, Dermantsi Black Spotted, Dermanska chernosharena, Schwarzbuntes Dermanzi, are found in the area surrounding Lukovit in northern Bulgaria. 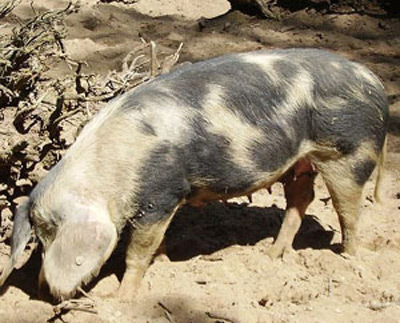 The Dermantsi Pied is a lard pig. They are either white with black spots or black with white spots.